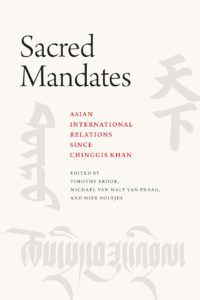 Published by University of Chicago Press in May 2018, “Sacred Mandates: Asian International Relations since Chinggis Khan” by Timothy Brook, Michael van Walt van Praag, Miek Boltjes (Eds.) examines the complex history of inter-polity relations in Inner and East Asia from the thirteenth century to the twentieth, in order to help us understand and develop policies to address challenges in the region today. This book argues that understanding the diversity of past legal orders helps explain the forms of contemporary conflict, as well as the conflicting historical narratives that animate tensions. 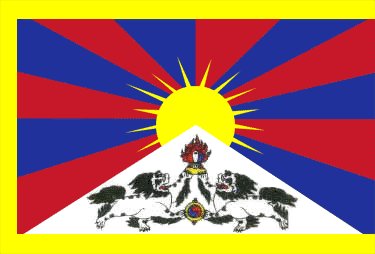 Rather than proceed sequentially by way of dynasties, the editors identify three “worlds”—Chingssid Mongol, Tibetan Buddhist, and Confucian Sinic—that represent different forms of civilization authority and legal order. This novel framework enables us to escape the modern tendency to view the international system solely as the interaction of independent states, and instead detect the effects of the complicated history at play between and within regions. Contributors from a wide range of disciplines cover a host of topics: the development of international law, sovereignty, state formation, ruler legitimacy, and imperial expansion, as well as the role of spiritual authority on state behavior, the impact of modernization, and the challenges for peace processes. The culmination of five years of collaborative research, Sacred Mandates will be the definitive historical guide to international and intrastate relations in Asia, of interest to policymakers and scholars alike, for years to come.